Bryant Family Chiropractic is a modern health care facility offering chiropractic care and spinal decompression therapy. Your health shouldn’t be taken for granted. 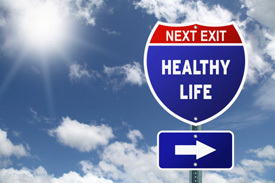 We can help you achieve greater health and maintain it for the best possible future. Your spinal health controls the health of the rest of your body, and we can help you live a life of wellness. Dr. Chris Reed has provided experienced chiropractic care for families and people of all ages for over a decade. He has helped many older patients to age well and children to develop healthier. We can get you out of pain, prevent problems from occurring and enhance your sports performance. We’re the only practice in the state offering the Atlas Orthogonal technique in our brand-new location. Our unique practice can be found in a location in Bryant that is easy to reach, whether you’re from the local area or the surrounding communities. Patients seek our help from all over central Arkansas, since we’re an easy drive and just off Interstate 30 on Exit 123. We’re ready to help your entire family live a healthy life together. Contact our office today to schedule your appointment with our health expert.